Wear an olive corduroy blazer and an Oamc logo beanie from farfetch.com, if you want to dress for comfort without looking like a slob. 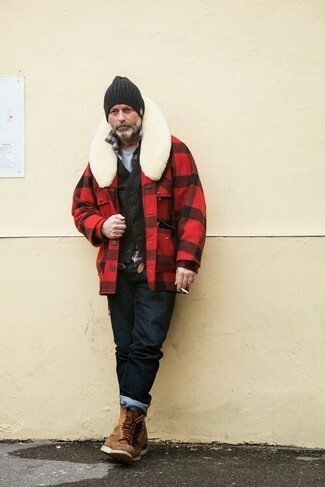 We're all seeking comfort when it comes to dressing up, and this combination of a red and black check shirt jacket and a black beanie is a great example of that. 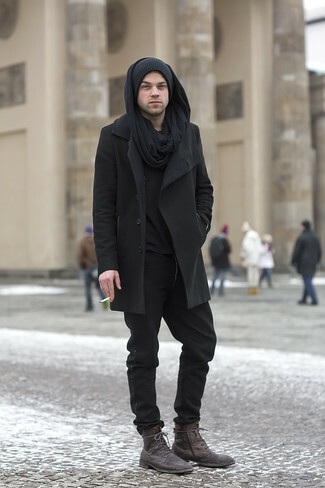 When it comes to footwear, this getup is round off nicely with brown leather work boots. If you prefer relaxed dressing when it comes to fashion, you'll love this easy pairing of a grey overcoat and an Oamc logo beanie from farfetch.com. 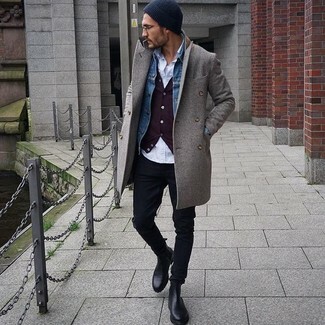 To add elegance to your look, round off with black leather chelsea boots. If you're all about being comfortable when it comes to fashion, this combination of a black overcoat and an Oamc logo beanie from farfetch.com is just what you need. Dark brown leather casual boots will bring a classic aesthetic to the ensemble. Wear a dark brown leather bomber jacket and an Oamc logo beanie from farfetch.com for a comfy-casual look. Got bored with this getup? Enter brown leather casual boots to jazz things up. 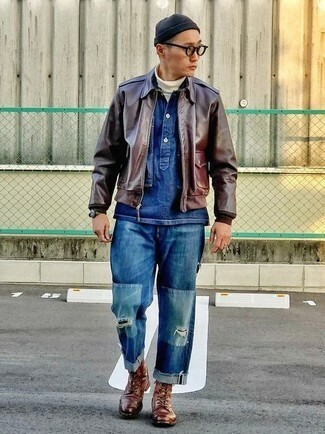 If you're looking for a city casual yet dapper outfit, wear a blue denim jacket with an Oamc black beanie. 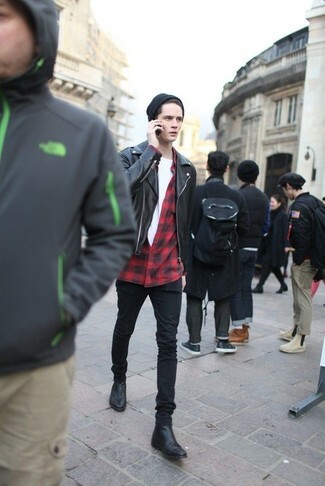 If you're all about relaxed dressing when it comes to fashion, you'll love this stylish pairing of a black leather biker jacket and a black beanie. You could perhaps get a little creative in the footwear department and spruce up your ensemble with black leather chelsea boots. 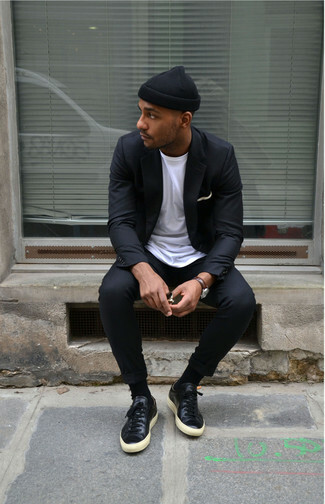 If you prefer relaxed dressing when it comes to fashion, you'll love this easy pairing of a black blazer and an Oamc logo beanie. Dress up this ensemble with black leather low top sneakers. 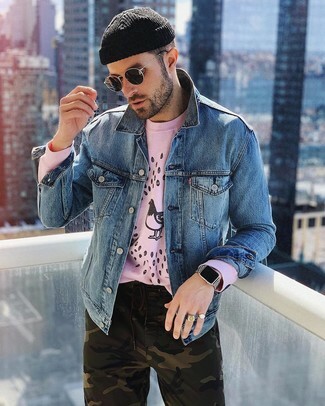 If you prefer relaxed dressing when it comes to your personal style, you'll love this simple pairing of a black long sleeve shirt and a black beanie. 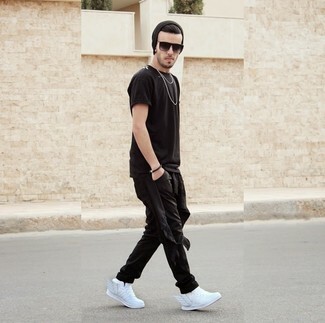 Lift up this look with white leather low top sneakers.